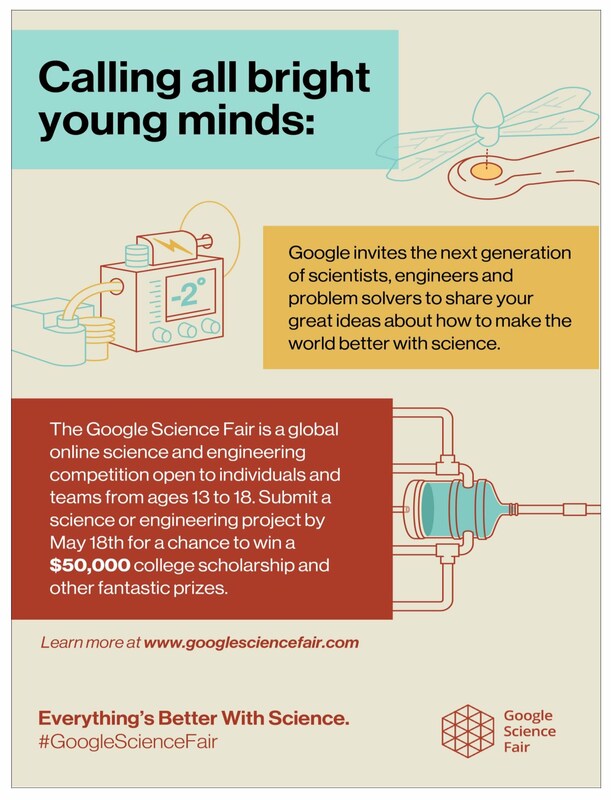 Google — in partnership with National Geographic, LEGO Education, Scientific American, and Virgin Galactic — is currently taking applications for their 6th annual Google Science Fair. Let's Help Google promote the opportunity and hopefully see a student finalist from the 28th Ward! Students can sign up on the website by visiting www.googlesciencefair.com. This is an opportunity for bright young minds ages 13 – 18 to share their big ideas about how to make something better using science and engineering. From pedal-powered vaccine delivery to clean drinking water, past participants have asked some serious questions, inspired by the world around them. This year, we’re asking students what they can make better. They have until May 18, 2016 to share their ideas and win some incredible prizes. Help get the word out to encourage bright young scientists to make things better through science.